Getting Bloody Serious all over NSW! A national workshop was held on 28 March 2018 in Melbourne to check on how Australia is tracking to achieve HCV elimination by the year 2030. Clinicians, researchers, community members, community organisations and State and territory government policy makers met for an intensive half-day workshop to assess progress and discuss future directions. Stuart Loveday, Hepatitis NSW’s CEO, attended the event and provides the following report. 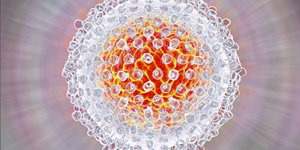 The fantastic progress in getting more than 40,000 people with hep C into direct acting antiviral (DAA) all oral treatments in the two years following PBS listing on 1 March 2016 was applauded. There remained an estimated 200,000 people living with hep C at the end of 2016. As expected, treatment rates have slowed down dramatically since that first wave of ‘easy to reach, easy to engage’ people went through treatment. New unpublished data indicates that numbers have fallen further than expected, and remain low, and more recent reports show that treatment numbers have not picked up in February or March 2018, as they normally would be expected to do. No cause for alarm, the workshop heard, but plenty of reasons to make a far greater effort across the country to raise awareness and mobilise all people with hep C to access treatment. The momentum needs to be regained. Gratifyingly, Australia’s epidemiologists all agreed that the current estimates of people living with hep C are correct. That means we know the size of the remaining populations of people with hep C, and with the latest hep C mapping report from the Doherty Institute and ASHM – available here – we know in detail where those people live. We heard about the progress – and challenges – in all states and territories. In NSW, we are fortunate in having treatment targets calculated using the best evidence and modelling from the Kirby Institute at UNSW, and in having those targets set in Key Performance Indicators in Local Health District, Justice Health & Forensic Mental Health Network (JH&FMHN) and some Aboriginal community controlled services funding and service contracts with the Ministry of Health. From March 2016 to September 2017, 19,700 people, or 24% of NSW’s estimated prevalence accessed DAA treatment. NSW stands out in having regular treatment data reports published by our Ministry, but more current data would help guide efforts and services as the battles to eliminate this epidemic intensify. Treatment is being scaled up in NSW prisons. Community organisations Hepatitis NSW and NUAA are working closely with the Ministry, JH&FMHN and some LHDs to help scale up treatment for people who remain vulnerable to HCV transmission or reinfection. We mustn’t forget, though, that there is still a very large number of people still contracting hep C each year in NSW and across Australia, so harm reduction prevention efforts and services remain paramount. Stigma and discrimination, lack of awareness of the new treatments and a huge population of people living with hep C who are hard to reach and very hard to engage were noted as ongoing and significant barriers to people coming forward for treatment and cure. While significant focus was deservedly placed on strategies to increase access to treatment for people with hep C and who inject drugs, Hepatitis Australia made the equally valid point that for HCV elimination to be achieved by 2030, people with hep C who contracted it through injecting many years ago and who no longer have any risk factors, people from culturally and linguistically diverse backgrounds who got hep C through unsterile medical procedures in other countries and people still undiagnosed must be reached and mobilised into treatment too. This group comprises the majority of people living with hep C in Australia. GPs will play the major role in prescribing HCV DAA treatments for this group of people with hep C.
a 65% reduction in the number of people dying from HCV related liver disease. If one of those targets is not reached, we will not have achieved elimination. This workshop was a great way to focus national attention on hep C elimination through treatment scale-up. We hope it becomes an annual event. It will help keep the momentum driving the partnership to beat the hep C epidemic on track. 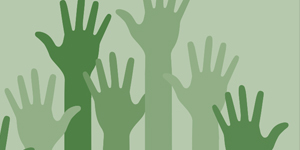 Hepatitis NSW has recently been busy recruiting a bunch of talented, experienced peers to our Live Hep C Free project. This program is gearing up to send our peer workers out around the state to help get more people tested for hep C and more people cured. Our peers have been attending methadone clinics, homelessness services, and drug health services where they are working closely with health professionals to help make hep C history. If your service has the capacity to do testing and treatment and would like a peer to spend a few hours a week getting more people into hep C health care then please get in touch with us – IT’S FREE! Whilst hepatitis B may not be the most common conversation topic out there, we at Hepatitis NSW believe that it is always possible to transform any hepatitis-related information into an accessible and interesting format. 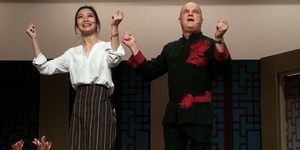 Last Saturday, after months of collaboration with Chinese Australian Services Society (CASS), the Australian Arts Assembly (AAA) and Georges River Council, Hepatitis NSW put on a Mandarin educational comedy, Love Liver, Love Life, to an audience of 600 people in Hurstville. Through newly pregnant Liu Yun’s hepatitis B diagnosis, the audience learnt about hepatitis B transmission routes and regular monitoring. The key message was to get tested for hep B – and, thanks to South Eastern Sydney Local Health District (SESLHD), local residents were offered free fibroscans and testing after the event. If the audience’s laughter was any indication, they remained highly entertained throughout the play. Not only that, they understood the importance of getting tested for hep B. Even better, many Chinese-Australian people presented for hep B testing the following Tuesday. All in all, it was a successful and enjoyable event! This project is supported by a community grant under the Hepatitis B Community Education Project administered by Hepatitis Australia and funded from the Australian Government, Department of Health, under the Blood Borne Viruses and Sexually Transmissible Infections Prevention Programme. 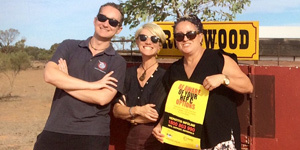 Last month, the education team from Hepatitis NSW hit the long and winding road to deliver in-depth hep C workshops from the south coast to the far west of the state. Queanbeyan was our first stop quickly followed by beautiful Moruya, where partnerships were forged across multiple agencies represented by 30 staff attending the two Southern NSW sessions. Nearly 800 kms later our team had enough time to unpack and restock their kits before flying out to Broken Hill where we met up with friendly hepatology nurse, Jo Lenton and dedicated NSP coordinator Trevor Slattery. Together with our Ceen & Heard speaker, the team delivered five workshops in four towns. They traveled through 700 kms of dirt roads and beguiling desert to work with teams of allied and health care workers, with 45 attendees at Broken Hill, Wilcannia, Ivanhoe and Menindee working to eliminate hep C in remote NSW. These workshops delivered practical information, built professional confidence, strengthened clinical pathways and challenged myths and fears around hep C to foster safe and non-judgmental access testing and treatment of hep C. With highly successful cures now available in even the most remote pockets of Australia, hep C is being reframed as an easily treated liver inflammation. Our thanks to all who participated and with special heartfelt gratitude to the HARP teams and clinical partners who worked with Hepatitis NSW for months to plan and promote workshops that were well received and attended. We look forward to continuing our conversations across the state and eliminating hep C by 2028!